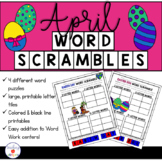 Spice up your word work center, use as a fast finisher, homework, or as morning work! 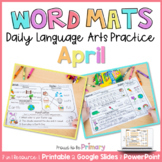 This handy sheet will keep your students practicing their words all month! 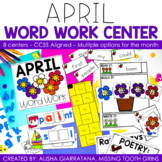 April Word Work Center- April Showers! 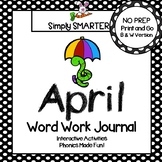 This packet includes the following: -ABC order (3) 2 - Making words If you enjoy this packet please leave a review! 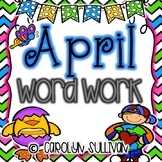 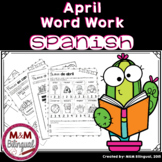 Word work activities for April.